Played college basketball at Southeastern Community College (2000-02), at Florida International (2002-03) and at Western Illinois (2004-05). Moved to Spain for the 2005-06 season, signed by Akasvayu Ferrer Vic, LEB Silver. Signed for the 2008-09 season by Baloncesto Leon, LEB Gold. Signed for the 2009-10 season by CB Valladolid. Signed for the 2011-12 season by Joventut Badalona. 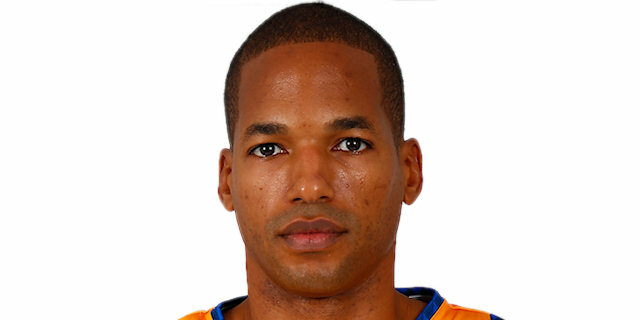 Signed for the 2012-13 season by CB Gran Canaria. Named 2018-19 EuroLeague Round 7 MVP. Won the gold medal at the 2012 Centrobasket. Won the bronze medal at the 2011 Americas Championship. Played at the 2008 Centrobasket. Played at the 2013 and 2015 Americas Championship. Has been member of the Dominican U-21 National Team. Won the gold medal at the 2000 Centrobasket U-21 Championship. Played at the 2001 World U-21 Championship.